Lausanne III is history. There will be plenty of opportunities to consider and analyze what was said and promised, documents, videos, discussions, papers and all. 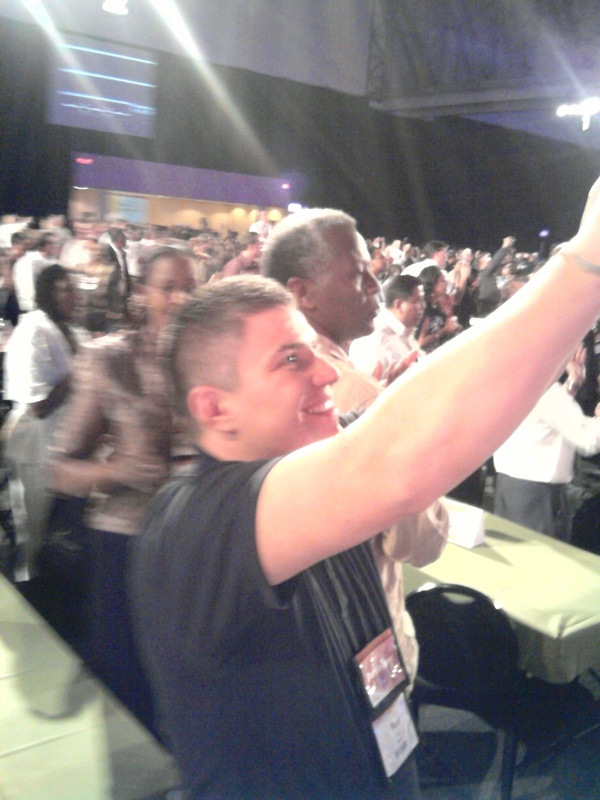 In this entry I want to share with you some of the best sayings I have heard while at the congress. On Ephesians 2: We are seated in heavens, just for now, temporarily – for the sake of good works, we are placed at the earth. Chad said: Ephesians 2 witness more to the Eastern than Western (collective versus individual) understanding of salvation. Piper said: Church needs to work to alleviate all suffering now, especially eternal suffering (his suggestion how to bring the issue of evangelism v. social action divide to an end). Michael said: I feel here like a lion in a room filled with Daniels. There are no closed countries, only ones we are not prepared to go to preach in. Many churches today are like buses. People sit inside – one is working (driving), another is collecting money, everyone else just sits. Vaughn said: There is a famine of the Word of God in the world today – but also in many evangelical churches. A frequent question today: What is your latest ministerial fashion? We go where we are invited to go – but in the unreached groups there is no-one to call us in. Calisto asked: If we are attending all the conferences, when do we take time to act? The word ‘evangelicals’ need to be redefined today – a new position is required. If we follow you a week after this congress – what would your walk reveal about you? Calisto said: World is offering a counterfeit love. Lack of unity in the church proves lack of maturity in the church. This is the end of colonisation of ideas in the partnership sake name. Young people of today are mostly pilgrims, they are on a pilgrimage in their lives, so they do not stay long in any place. The Congress had started on Monday, remarkably picturesque and full of life. Ajith Fernando spoke on the Ephesians one and stated: “We are rich, we are very rich, it is only that sometimes we are short of money to buy things we need or desire.” Powerful. Five thousands people from 198 nations here – in Mother Town as they call Cape Town. Some said it is the most representative Christian gathering/congress in history. Perhaps it is, but I wish there is more time for the table groups to discuss issues coming out of the Book of Ephesians. I wish I was not asked from an acquaintance of mine whether is it really a woman leading our table group! And I wish all of the participants could go and visit Robin island to see where Mandela spent 2.5 decades in prison. New ideas are floating around, Keller said last night that our churches ought to be “strong in evangelism and famous for its work in social justice” if we want to be witnesses in mega cities of today. More and more speakers are talking about the need for both, but no one knows what the crowd thinks. For some it is a huge paradigm shift. Big day on Friday: Jane, James, Shamira and I will share one afternoon session on developing the new leaders, in this generation. We hope to present the case well. I have a feeling that whatever is presented here is needed to be heard, yet there are so many events going on, that some people walk around bewildering, trying to get a break to stop and rewind what happened already. This is a big event, all right! Most enjoyable quote of the day: Michael said: I feel like I am a lion in a hall filled with Daniels! I am in Cape Town for the Lausanne congress. 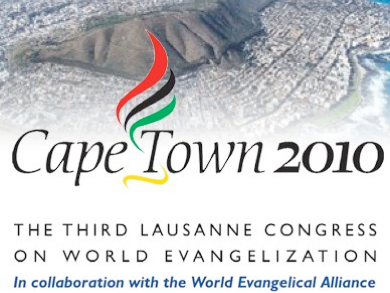 The third of its kind – and largest ever Christian conference to be held in Africa. As the saying goes – anybody who is somebody had to be here (I count among the ‘nobodies’ – someone needs to be in that number also). Indeed, it is a rare opportunity to get to the Christian leaders some kind of recognition (apart from the crown waiting in heavens) – by putting their name in a Congress book, or giving them a badge of a different color to the most of the people, or getting them a VIP status. Major donors are here – our benefactors, seminary presidents, superintendents, bishops and alike, creme de la creme. But, in spite of my cynicism, this Lausanne is a milestone of a new era in the evangelical Christianity. The divide between evangelism and social action, so strong in the past and tackled by John Stott already at Lausanne I (1974), seems to be growing smaller every year. 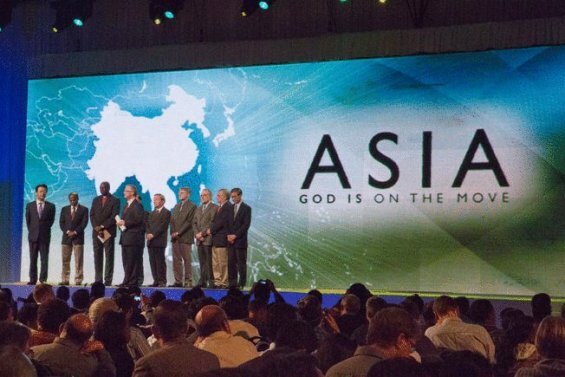 Then, the age of speedy and voluminous evangelism is gone along with modernity times, there is more emphasis on discipleship nowadays, to try to keep up the GC of our Lord – Mt 28:18-20; and a meeting being held here is deliberately putting Africa on a missions agenda again – and rightly so. This is a Congress of the age of social networks who will continue to function after this week – it would be interesting to find out how many FB and Twitter, YouTube, and YouNameIt entries will be done with the Lausanne word in it these days. It is also noticeable that there are less speakers from the Western world and that the country/continent representation is being done more in accordance with the real situation, for example, showing how the Western world got estranged from its Christian heritage in the last 50 years or so, how much are the Global South and Global East dominant nowadays, the participation of women, and so on. The Congress leaders are preparing the Statement. Is it going to be a confirmation of the Lausanne covenant from 1974 or a step to unknown waters we will learn in a week from now. Is Lausanne from a movement going to become a pillar of ev. Christianity? An unmovable one? Will it establish itself as a some sort of super denomination, with administration at al, or will it attempt to continue to be a loose association of like-minded people? Can it bring us back from a ‘dollar per convert’ cost efficiency model of missions to the ‘reaching the unreached,’ to go where missionaries can rarely or never go, to bring the Message of Hope to the needy? Will find that out. Soon. My friend Danijel Vukovic from Serbia recently visited Istria peninsula in Croatia and did some awesome photo shuts. 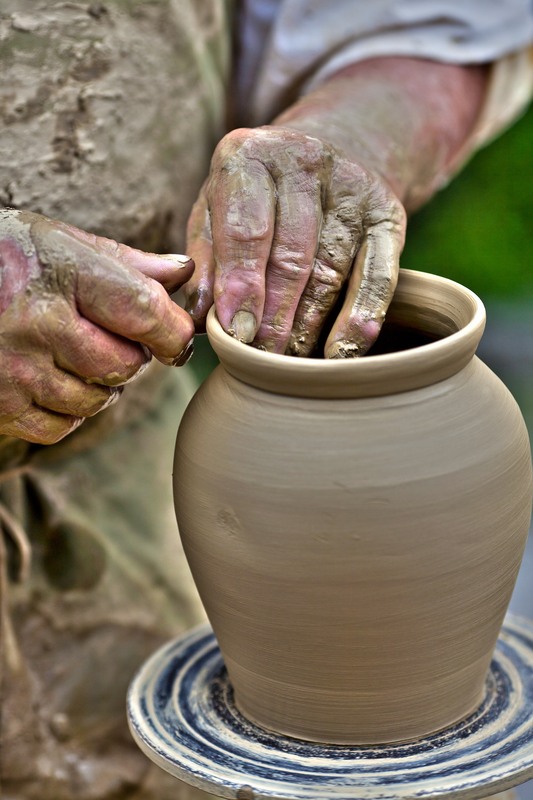 Looking at the hands of this craftsman, I am thinking how much work is my Lord putting to shape me and mold me on a day to day basis? Have you considered this verse recently?